Since 1900, there's been a 74% decline in mortality rates in developed countries, largely due to a marked decrease in deaths from infectious diseases. 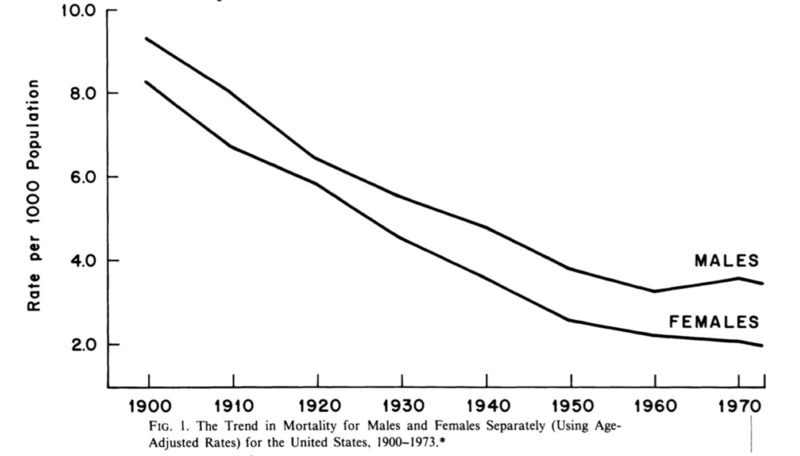 How much of this decline was due to vaccines? The history and data provide clear answers that matter greatly in today's vitriolic debate about vaccines. CHICAGO, Illinois —Since 1900, the mortality rate in America and other first-world countries has declined by roughly 74%, creating a dramatic improvement in quality of life and life expectancy for Americans. Why did the mortality rate decline so precipitously? If you listen to vaccine promoters, the answer is simple: vaccines saved us. What's crazy about this narrative is how easy it is to disprove, the data is hiding in plain sight. The fact that this easily-proven-false narrative persists, however, tells us a lot about the world we live in, and I hope will encourage parents to reconsider the veracity of many of the narratives they've been fed about vaccines, and do their own primary research. Standing before his colleagues on October 19, 1970, Harvard's Dr. Edward H. Kass gave a speech to the annual meeting of the Infectious Diseases Society of America that would likely get him run out of this same profession today. At the time, Dr. Kass was actually the President of the organization, which made the things he had to say about vaccines and their impact on the reduction in American mortality rates even more shocking, at least by today's standards. Forty-eight years after Dr. Kass' speech, vaccines have taken on a mythological status in many corners of our world, hyped up by the people who benefit the most from their use. Of course vaccines saved the world. Of course every child should get every vaccine. If you don't vaccinate, you will enable the return of deadly childhood diseases. If you don't vaccinate, your child will die. If you question vaccines, even a little, you're an "anti-vaxxer" who should be shunned and dismissed! But what if most of the history about the role vaccines played in declining mortality isn’t even true? "...we had accepted some half truths and had stopped searching for the whole truths. The principal half truths were that medical research had stamped out the great killers of the past —tuberculosis, diphtheria, pneumonia, puerperal sepsis, etc. —and that medical research and our superior system of medical care were major factors extending life expectancy, thus providing the American people with the highest level of health available in the world. That these are half truths is known but is perhaps not as well known as it should be." Dr. Kass pled with his colleagues to be open to understanding WHY infectious diseases had declined so dramatically in the U.S. (as well as other first world countries). Was it nutrition? Sanitary methods? A reduction in home crowding? (We've since learned the answer to all three questions is, "Yes.") He encouraged his colleagues to be careful not to jump to conclusions prematurely and to maintain objectivity and "devote ourselves to new possibilities." 1. He never referred to vaccines as "mankind's greatest invention" or one of the other many hyperbolic ways vaccines are described all the time by vaccine promoters in the press today. Vaccines weren't responsible for saving "millions of lives" in the United States, as Dr. Kass well knew. 2. In fact, he never gave vaccines much credit AT ALL for the developed world's dramatic mortality decline. Which makes sense, because none of the data he had would have supported that view. Which made me wonder, "has anyone tried to put the contribution of vaccines to the decline in human mortality in the 20th century in context?" Said differently, is there any data that measures exactly how much impact vaccines had in saving humanity? Yes, indeed there is. Read on. "that the introduction of specific medical measures and/or the expansion of medical services are generally not responsible for most of the modern decline in mortality." - Medical measures "appear to have contributed little to the overall decline in mortality in the United States since about 1900--having in many instances been introduced several decades after a marked decline had already set in and having no detectable influence in most instances." "Even if it were assumed that this change was entirely due to the vaccines, then only about one percent of the decline following interventions for the diseases considered here could be attributed to medical measures. Rather more conservatively, if we attribute some of the subsequent fall in the death rates for pneumonia, influenza, whooping cough, and diphtheria to medical measures, then perhaps 3.5 percent of the fall in the overall death rate can be explained through medical intervention in the major infectious diseases considered here. Indeed, given that it is precisely for these diseases that medicine claims most success in lowering mortality, 3.5 percent probably represents a reasonable upper-limit estimate of the total contribution of medical measures to the decline in mortality in the United States since 1900." In plain English: of the total decline in mortality since 1900, that 74% number I keep mentioning, vaccines (and other medical interventions like antibiotics) were responsible for somewhere between 1% and 3.5% of that decline. Said differently, at least 96.5% of the decline (and likely more than that since their numbers included ALL medical interventions, not ONLY vaccines) had nothing to do with vaccines. You don’t get to say you saved humanity if, at most, you were responsible for 3.5% of the decline in mortality rates since 1900 (and probably closer to 1%). In 1970, Dr. Kass raised the idea that public health officials need to be careful to not give the wrong things credit for the twentieth century's massive mortality rate decline in the developed world. In 1977, Drs. McKinlay & McKinlay put data around Dr. Kass' ideas, and showed that vaccines (and other medical interventions) were responsible for between 1-3.5% of the total decline in mortality since 1900. In 2000, CDC scientists reconfirmed all this data, but also provided more insight into the things that actually have led to declines in mortality. "water treatment, food safety, organized solid waste disposal, and public education about hygienic practices." Also, "improvements in crowding in US cities" played a major role. Clean water. Safe food. Nutrition. Plumbing. Hygiene. These were the primary reasons mortality declined so precipitously. At least according to the data and published science. This chart is compiled from this dataset provided by the CDC. You can see that nine vaccines we give children today didn't even exist in the mid-1980s. Moreover, the vaccination rates for the three vaccines that did exist were hovering near 60% or less as late as the mid-1980s. Today, vaccination rates are all well north of 90% for American children. I think it's fair to ask, "why so much panic"? 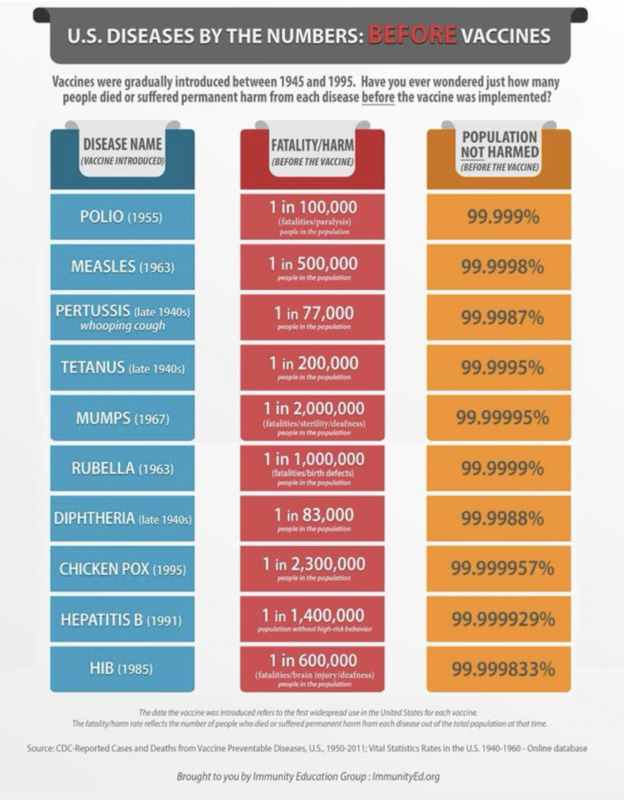 If you think about this chart for long enough, it makes you realize how silly the oft-invoked notion of "herd immunity" really is, since we obviously couldn't have been anywhere near vaccine-induced herd immunity in the mid-1980s. In fact, we're really no closer today, because adult vaccination rates remain so low, and vaccines wane over time. - Speaking about vaccines in such reverential terms that even questioning them (like I'm doing in this article) is viewed as sacreligious and irresponsible. Vaccine promoters will often quote statistics about present-day deaths from infectious diseases that sound deeply alarming. Using examples of a disease like measles, they might explain how many children still die from measles every year, and therefore its gravely important that EVERY American parent vaccinate their child for measles. Of course, what they don't mention is that these infectious disease deaths are happening in places that still have quality of life conditions akin to American children of the early 1900s. Poor nutrition. No plumbing or refrigeration. Bad hygiene practices. Crowded living conditions. All the things that ACTUALLY impacted the mortality rate the most haven't yet been addressed in certain parts of Africa and other third world countries, and JUST implementing vaccines won't change the facts. This was Dr. Kass' point in the first place: know what actually led to the mortality rate decline, and do more of that! 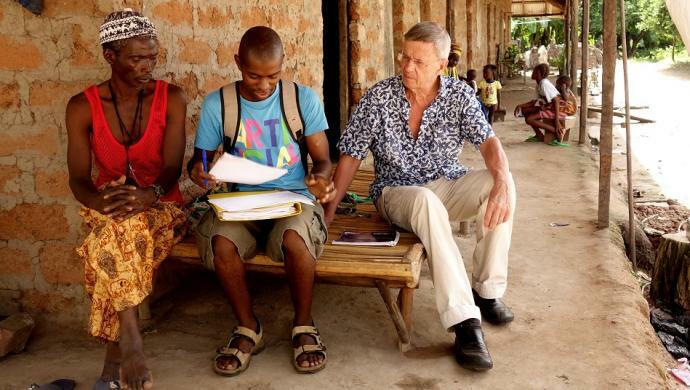 "At first it was just a simple clinical observation. I observed that many infants, after they received routine vaccines like tetanus, diphtheria, polio, whooping cough or whatever, became ill. Some became extremely ill, and in fact some died. It was an observation, It was not a theory. So my first reaction was to look at the reasons why this happened. Of course I found it was more likely to happen in infants who were ill at the time of receiving a vaccine, or infants who had been ill recently, or infants who were incubating an infection. Of course in the early stages of incubation there is no way whatsoever that anyone can detect the disease. They turn up later on. Furthermore, some of the reactions to the vaccines were not those that were listed in the standard literature. They were very strange reactions indeed. A third observation was that with some of these reactions which normally resulted in death I found that I could reverse them by giving large amounts of vitamin C intramuscularly or intravenously. One would have expected, of course, that the authorities would take an interest in these observations that resulted in a dramatic drop in the death rate of infants in the area under my control, a very dramatic drop. But instead of taking an interest their reaction was one of extreme hostility. This forced me to look into the question of vaccination further, and the further I looked into it the more shocked I became. I found that the whole vaccine business was indeed a gigantic hoax. Most doctors are convinced that they are useful, but if you look at the proper statistics and study the instance of these diseases you will realise that this is not so." Leicester has furnished, both by precept and example, irrefutable proof of the capability and influence of Sanitation, not only in combating and controlling, but also in practically banishing infectious diseases from its midst. . . . A town newly planned on the most up-to-date principles of space and air, and adopting the “Leicester Method” of Sanitation, could bid defiance not to small-pox only, but to other infectious, if not to nearly all zymotic, diseases. Vaccines didn’t save humanity. Their impact was somewhere between 1-3.5% of the total decline in mortality rates. Improvement in sanitation and standards of living really did (nutrition, living conditions, etc.). Did vaccines contribute to a small decrease of certain acute illnesses? Yes, but their relative benefit is often exaggerated to an extreme, and then used to browbeat, guilt, and scare parents. So am I saying no one should vaccinate? No, I'm not. Vaccines provide temporary protection from certain acute illnesses. Some matter more than others. I personally think we give way too many vaccines, and I think the risk/benefit equation of each vaccine is often obscured. Worse, the lie that vaccines saved humanity in the twentieth century has turned many vaccine promoters into zealots, even though their narratives are simply not supported by the facts. But, by all means, get as many vaccines as you want, I respect your right to make your own medical care choices. In late 2017, it was reported that Emory University scientists were developing a common cold vaccine. Professor Martin Moore bragged that his research “takes 50 strains of the common cold and puts it into one shot” and that the monkeys who served as test subjects “responded very well.” You should expect to see this vaccine at your pediatrician’s office in the next five years, which will likely be rolled out soon after the stories start to appear in the media about the common cold causing childhood deaths, and that millions of lives will be saved, much as vaccines saved the world in the twentieth century...parents beware, and do your own research! Journalist Lawrence Solomon has also written two excellent articles about measles: 1) Lawrence Solomon: The untold story of measles, and 2) Lawrence Solomon: Vaccines can’t prevent measles outbreaks.